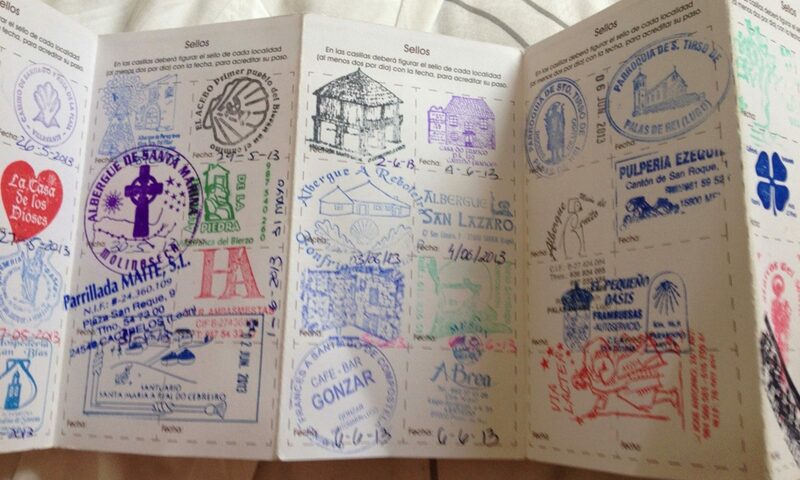 Hokies hiking the Camino de Santiago – Page 24 – 14 Hokies. 300 Kilometers. Two weeks. I cannot believe how much I have seen in just one week. I feel truly lucky to have been able to see the fast pace lifestyle of Madrid and the beautiful antiquity of Toledo and Avila- and this is just the beginning. At this point, my favorite experience has been visiting the city of Toledo. The city is indescribably beautiful. As we walked around I found myself thinking, “Is this even real?” The architecture, people and just overall atmosphere was unforgetable. You could see that the city had an intense history. Just walking around was like a museum tour. The city is surrounded by a wall that kept out invaders back in the day. And within the city, you can see that the layout was specifically designed to keep its inhabitants comfortable in a time of less advanced technology. 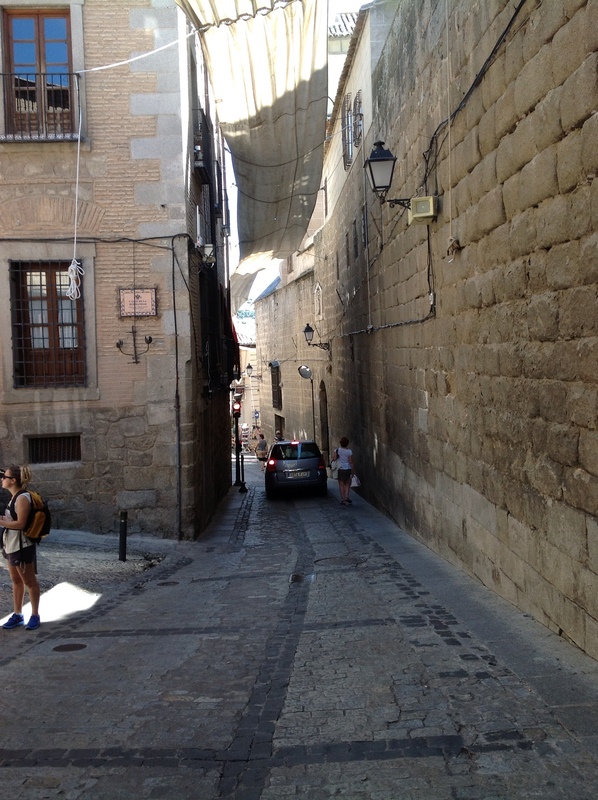 The buildings are built close together to create more shade and therefore the streets are more narrow. This creates a small problem with car traffic, but people still get by. I think that was what impressed me most. Although parts of Toledo are not conducive to modern day lifestyle, there is no renovation. The streets are narrow, the walls serve no real purpose anymore- but they are still there. I think it’s great that the city still holds on to its history. And it should, because Toledo is an amazing place. Toledo was absolutely gorgeous. A quaint medieval town, when I walked through the narrow cobblestone streets I felt like I was traveling back through time. The cathedral, however, was what really brought the feeling on. When I walked through the giant and intricately carved doors, I could clearly visualize people hundreds of years in the past walking through them to attend Sunday Mass. Its incredible how much the original architecture has remained in place. Obviously restorations have been done, but they are not noticeable at all. The cathedral appears exactly as it must have been five hundred years ago. When I walked inside I was immediately in awe at the absolute magnificence of its structure. The ceilings are so tall; my neck is sore from looking up for too long. The main altarpiece, however, was what truly stuck out to me. Floor to ceiling, the entire wall is covered in paintings and sculptures all covered in gold. With the splendor of the altarpiece and the size and design of the organ (biggest one I have ever seen) I can only imagine that attending services there are extremely intense and moving. 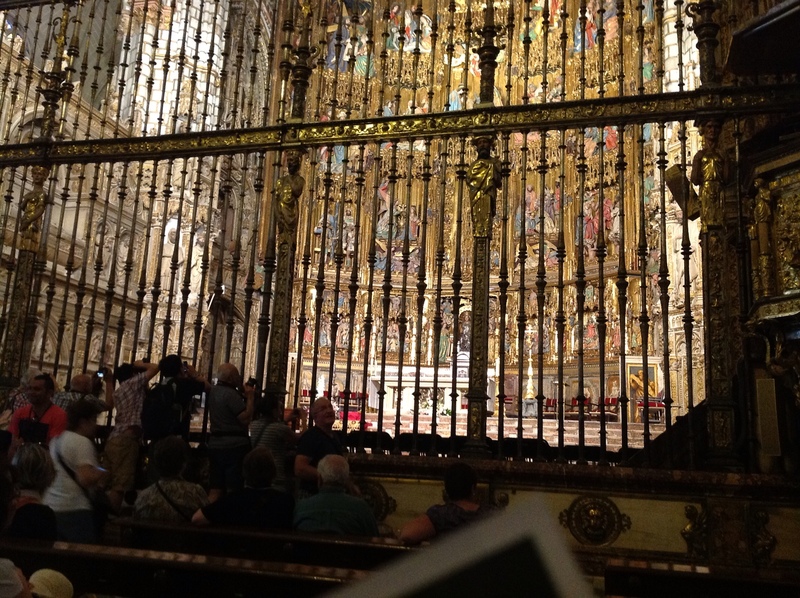 I think that the cathedral really is what made Toledo so special to me. The whole atmosphere of walking down the streets with its flying buttresses in view gave me that warm fuzzy feeling that only happens when something magnificent has struck me. 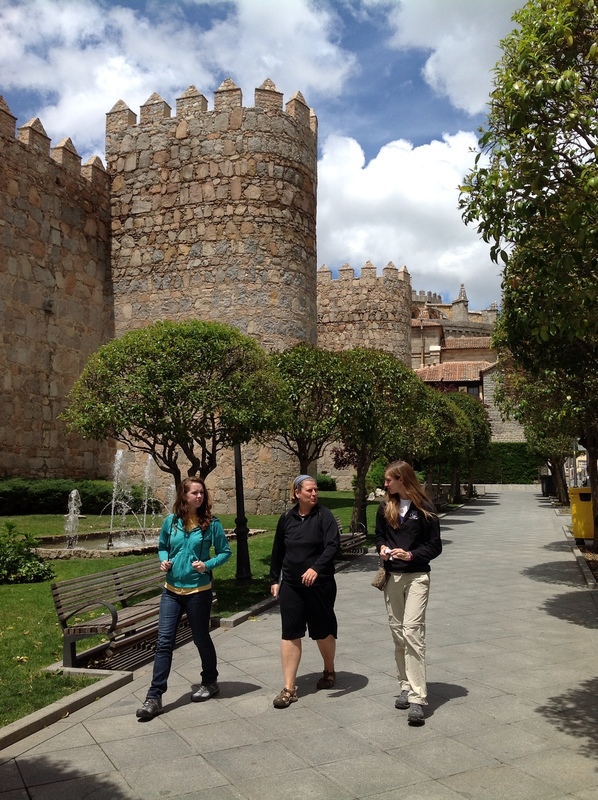 I loved Toledo for that reason: the feeling of traveling back in time from the cathedral really was something magical. The United Nations Alliance of Civilizations (UNAOC) in partnership with UNESCO and a wide coalition of partners from corporations to civil society is launching the world campaign “Do One Thing for Diversity and Inclusion,” aimed at engaging people around the world to Do One Thing to support Cultural Diversity and Inclusion. This day raises awareness on the richness of world cultures and the opportunities that cultural diversity can bring to societies. This study abroad opportunity to the El Camino, offered by the College of Liberal Arts and Human Sciences at Virginia Tech, is living this campaign to its fullest. 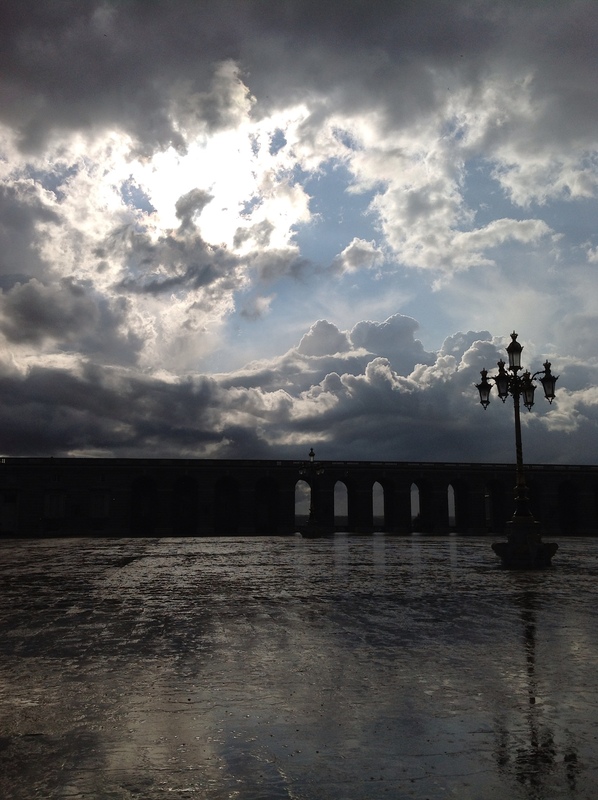 …splashes vigorously at the Royal Palace in Madrid Saturday but what a glorious sky!